In defiance to the United Kingdom’s government, the country’s Parliament has adopted a law aimed at preventing withdrawal from the European Union without a deal that could happen this Friday. 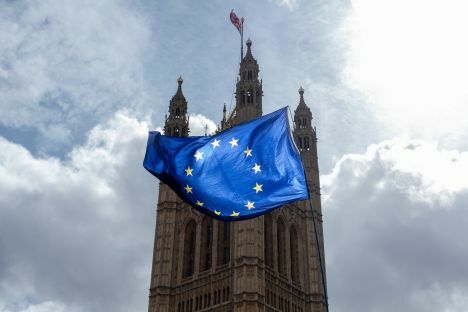 British news portal The Guardian reports that the new law passed on Monday, April 8, forces the government to set out its timetable for the length of the Brexit delay in order to prevent the UK exiting the EU with no deal. The swift adoption of the bill, which took just three sitting days to complete, was made possible by the success of an unprecedented amendment which allowed MPs to seize control of parliamentary business on particular days, meaning the government could not block its progress.